Perfect for dogs that pull or easily slip out of their collars. 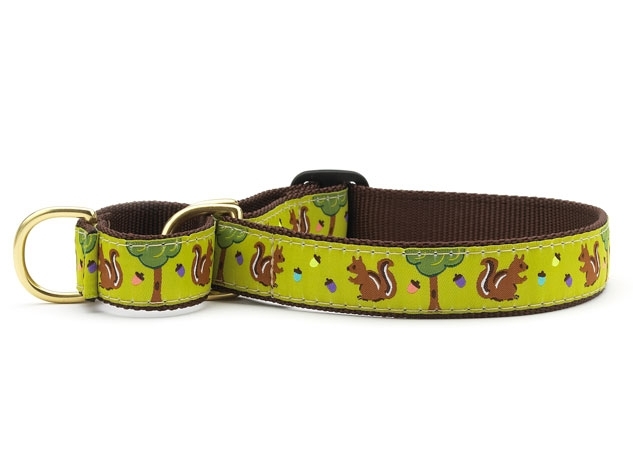 Up Country Nuts Martingale dog collar is the perfect choice for a boy or girl dog that goes nuts for squirrels. Made of high tensile light blue nylon with a fray and stain resistant ribbon sewn onto the nylon makes the collar strong. Easily adjusted for the perfect fit. Machine washable, drip dry. S Narrow	12 - 17.5"
M Wide	12.5 - 20"